Why Compensate For Less Oxygen? In an internal combustion engine, combining a fuel source with oxygen in a cylinder and igniting it creates a controlled explosion. Controlling how much oxygen and how much fuel are present in the cylinder can result in more power out of that controlled explosion. However, this can be tricky because the amount of oxygen in the atmosphere at any given time fluctuates due to factors such as the weather and elevation. If there is too much fuel in the mixture, it will not generate enough heat. If there is too little, there will not be enough to generate efficient combustion. In between, your mixture might generate so much heat that engine damage may occur. Basically, you want to control the ratio of air to fuel to an appropriate amount to get the most power without engine damage. An interesting way to think about air density is as follows. One cubic foot of air located at sea level has a column of atmosphere above it that stretches into the upper atmosphere. That column exerts a pressure that brings a certain concentration of oxygen along with the other molecules that make up the air. A cubic foot of air located at 1,000 feet above sea level has 1,000 feet less of that column of air above it, resulting in thinner air. Since combustion in an engine requires a specific amount of air and fuel, thinner air throws off that ratio and causes problems with the engine’s fuel system. You can track how much oxygen is in the atmosphere by monitoring the barometric pressure used in density altitude. Crew chief working on mechanical fuel injection nozzles used in Outlaw Sprint Car racing. Circle track racers often tour the country visiting race tracks at different altitudes. Barometric pressure is a way of measuring the pressure from the column of air above us. The higher we go in elevation, the smaller the column above us and the less pressure there is to measure. Higher altitudes correlate with lower barometer values indicating less oxygen in the air. Density altitude combines the barometer with the temperature and humidity found in the column of air into a single value. It compares the current weather conditions to the atmosphere found at different elevations. Density altitude indicates the weight of air relative to sea level for engine tuning. Dual quad setup on 1957 Chevrolet was an impressive setup in that era. It would be sensitive to altitude changes necessitating re-jetting in both carburetors. Even with proper re-jetting, the 270 gross horsepower rating would drop to a little over 250 gross horsepower at 6,000-foot elevation. Historically, barometer correction was necessary when using mercury-based thermometers. Changes in atmospheric pressure affect the readings from the mercury and in turn affect the readings on the thermometer. Knowing the barometer value would help scientists correct the values on thermometers to give a more accurate reading of the temperature. Today, both corrected and uncorrected barometer readings are used when analyzing current weather conditions. Meteorologists correct the barometer value to give the pressure reading at sea level instead of at the current elevation. This is done because a standard pressure is useful for determining weather forecasts. A corrected barometer value above 29.92 inches of mercury (HG) is a high-pressure system and usually means air is cooling, humidity is decreasing, and the pressure of that air is stabilizing the atmosphere. A corrected barometer reading below 29.92 inHG is a low-pressure system and usually means air is warming and humidity is increasing. Low-pressure systems tend to bring clouds and rain. High-pressure systems tend to bring clear skies and a calm atmosphere. While correcting the barometer value to sea level is useful in meteorology and weather reporting, it is not useful in engine tuning. Corrected local barometric pressure readings are not useful for finding the actual weight of air going into the engine. If you are using the barometer value obtained from a local weather report in engine tuning, you need to uncorrect it to your current elevation. The uncorrected value is better for telling how much pressure is actually in the air at your current location and, therefore, how much oxygen is available to maintain the air/fuel ratio. If an altimeter or portable weather station is used, you are probably getting the uncorrected value. This will need no adjustments when used in engine tuning. However, periodic calibration of these meters is necessary. Simple throttle body mechanical fuel injection with air to fuel ratio determined by jetting. A good rule of thumb is to decrease the barometer value by 1 inHg for every 1,000 feet of altitude increase. This means that a barometer value of 29.54 inHg at sea level would be approximately 28.54 inHg at 1,000 feet of elevation. In Colorado, with an approximate elevation of 5,000 feet, the uncorrected value is around 24.54 inHg. This relationship holds up to about 6,000 feet and is a bit less above that. In mechanical fuel injected racing engines, tracking elevation changes is especially important due to the finer control over the engine on the part of the engine tuner. Air/fuel ratio is controlled by modifying the jetting. This is done either in the engine or in the main bypass. To compensate for elevation changes when using a crankshaft driven supercharger, the supercharger overdrive can be changed – where the rules permit. 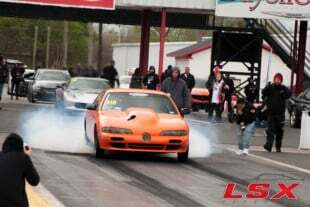 Charles Ware owns and drives a blown alcohol drag racer; the engine runs mechanical fuel injection. At his home track located near sea level, he runs 6.8-second elapsed times with 18-percent overdrive in his blower. Ware’s team recently went to Albuquerque, NM, which is located at 5,500 feet of elevation. 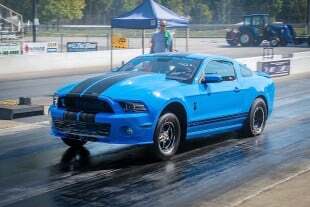 He computed a blower overdrive increase to 45-percent to compensate for the altitude change and ran the same 6.8 seconds e.t. right out of the trailer. With that blower overdrive change, he did not have to change jetting in his engine setup. 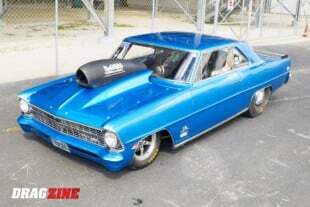 Greg Means built a drag racing Nova with a supercharged small-block V8 engine using mechanical fuel injection. 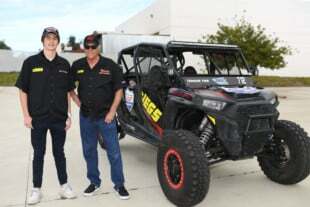 His combo ran 9.0-second elapsed times at a sea level drag strip, but when he went to Top Gun Raceway in Fallon, Nevada, he was forced to deal with 4,000-feet of elevation, which drastically changed the requirements. Means calculated the blower overdrive increase to compensate for the altitude, and was able to maintain the 9.0 e.t.’s flawlessly with only a change in the blower overdrive. Blower overdrive can be adjusted to compensation for air density changes in many supercharged drag racing engines. For nostalgia nitro drag racing, one of the tuning tricks is to change the amount of nitro percentage for different elevations. 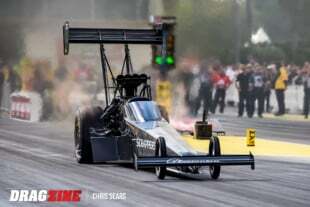 Brendan Murry of Racecarparts.com races a nostalgia Top Fuel Dragster with mechanical fuel injection. Normally he runs an 85-percent nitromethane-methanol fuel mixture in his supercharged Chrysler Hemi. That is his baseline for a track such as Bakersfield at about 700 feet. 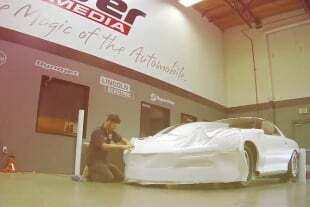 Because of blower limitation rules associated with this class, Murry has to look at other tuning tricks for the loss of oxygen from high altitude. 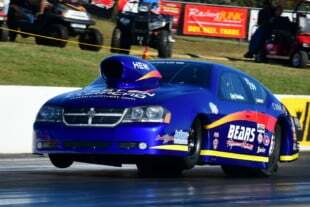 Murry says, “We add 1-percent nitromethane per 1,000 foot altitude difference to compensate for the loss of oxygen in the air. For example, if we are racing at a track that is 2,700 feet, we run 87-percent”. For small changes in altitude, carburetors will compensate without any modifications. For larger altitude changes, carburetor jetting adjustments may be needed. A rough estimate is one to two jet size reduction for every 1,000-foot elevation increase. That is dependent on various factors including the carburetor manufacturer, the method of mid-throttle transition, and any added provisions for smog control that may alter the carburetor operation. For carburetors equipped with intermediate circuits that are vacuum dependent, changes in engine vacuum from altitude changes may necessitate modifications to the intermediate circuit. Changes to float levels may also be needed. Multiple carburetors on a tunnel ram manifold for an eye appealing look. For moderate changes to altitude, changing fuel pressure with a regulator can change float levels to some extent. That can change the amount of fuel to the engine – more fuel pressure for lower altitude and less fuel pressure for higher altitude. Pressure ranges would be in the 6 to 12 psi scale for highway use. 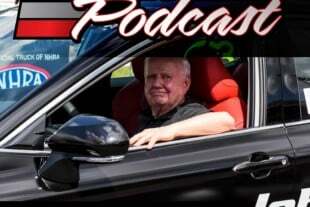 “I drove a 1965 Chevrolet, with a 425 horsepower engine with a 4-barrel carburetor, mostly around northern Ohio, nominally around 1,000 foot altitude. Spark plug porcelain readings remained a light brown. Carburetor jetting was nominally #85s. I drove to Yellowstone National Park that was 7,700 feet altitude. After the engine was stopped for refueling, it would not restart. The spark plug porcelains were completely carbon-fouled. 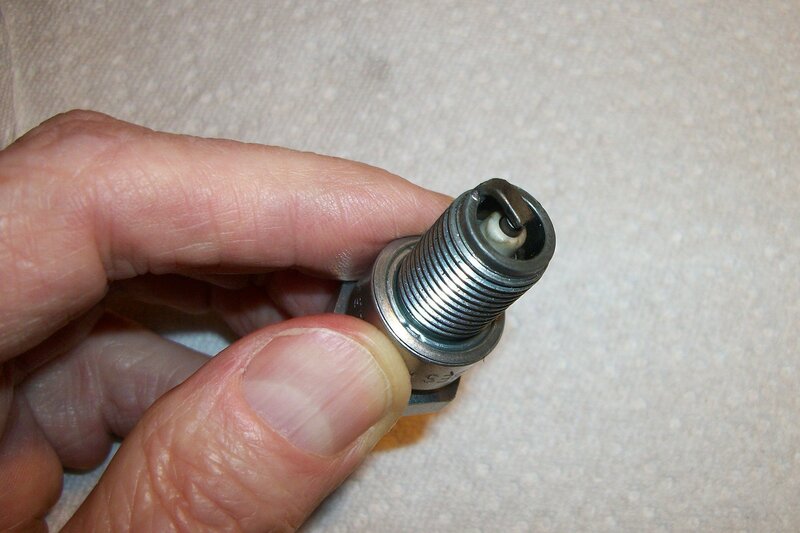 I installed new spark plugs and re-jet the carburetor several sizes down to inhibit further porcelain fouling. This engine was equipped with power valves for midrange enrichment. At this altitude, different engine vacuum characteristics would necessitate different power valve vacuum ratings. These were not available at the time. The engine simply did not run very well during the visit,” says Bob Szabo, author at RaceCar Book. What’s Going On In An EFI Setup? Electronic fuel injection was developed as a replacement to the simple carburetor. Complex electronic circuits were developed then shrunk into small packages. This expanded engine fuel management and automatic compensation for altitude. Inlet sensors were developed to determine air density characteristics. Exhaust sensors were developed to measure combustion. The combination produced air/fuel ratio controls to compensate for air temperature, humidity, and air pressure effects from weather or altitude. Additionally, electronic functions were added to benefit cold starting, reduced emissions, and improved mileage. Inlet air density can be reduced at higher altitudes. The driver’s throttle position and engine speed is measured. Those signals go into a data map to determine fuel control for different conditions. More recent vehicle management systems also receive data from other features on the vehicle such as air conditioning, heating, road conditions, and wheel speeds in order to alter fuel management. The electronic engine management system produces a fuel amount from the data map to satisfy the conditions. The engine responds to the readjusted amount of fuel. Oxygen sensors in the exhaust measure whether the exhaust has a fuel rich or fuel lean characteristic. That data is sent to the engine management system to control the fuel down or up. In this feedback mode, the correct amount of fuel is delivered, regardless of air density changes from altitude. While the engine is running, the determination and control of the amount of fuel occurs on a continuous basis. Modern electronic fuel injection on a turbocharged sports compact drag racing vehicle. This engine is equipped with a turbocharger with wastegate boost control. Within the design limits of the turbocharger, the wastegate further compensates for changes in altitude. It holds the exhaust pressure until a selected boost is reached. This can still occur at higher altitudes because the wastegate holds the exhaust pressure until boost is reached. Most electronic fuel injection systems operate at a constant fuel pressure. Pulsing the electronic fuel injectors changes the amount of fuel for different conditions. They are either ‘on’ or ‘off’ within a short time period – more “on” time for higher fuel demands and more ‘off’ time for lower fuel demands. For a given throttle position and engine speed at high altitude, the ‘on’ time is less, and the ‘off’ time is greater. At low altitude, the opposite is the case. The injector ‘on’ time is greater, and the ‘off’ time is less. For more recent engines with on-board diagnostics, an external plug-in meter can measure various electrical characteristics. The industry is developing an extensive database for electric fuel injection operation and tuning for various demands including different altitudes. 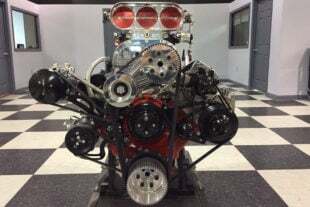 Regardless of whether the fuel system for an engine is mechanical fuel injection, a carburetor, or electronic fuel injection, controlling fuel mixtures for elevation is important. Air/fuel ratio control for changes in elevation helps maintain consistency and power for engine performance.